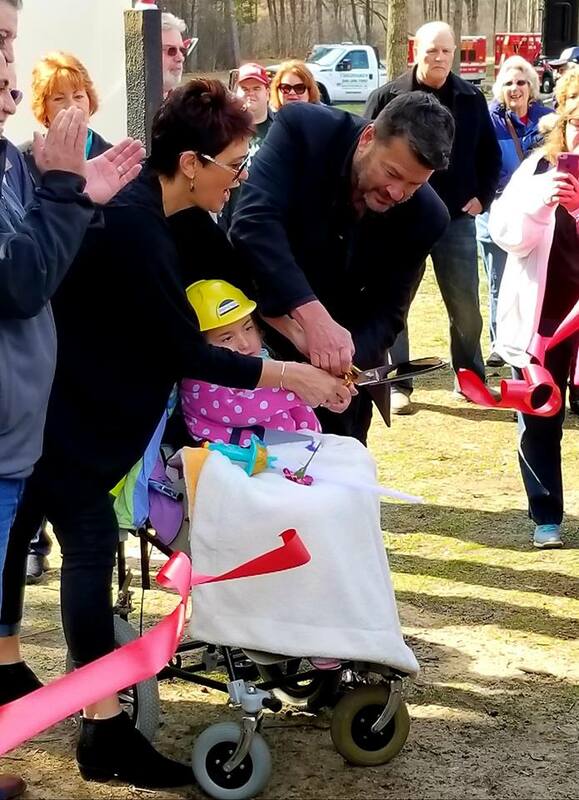 Scarlet’s Smile, a 501(c)3 organization with the mission of building a barrier-free all-inclusive playground, was named after Scarlet, a wonderful six-year-old who was diagnosed with SMA (Spinal Muscular Atrophy) at the age of eight months. 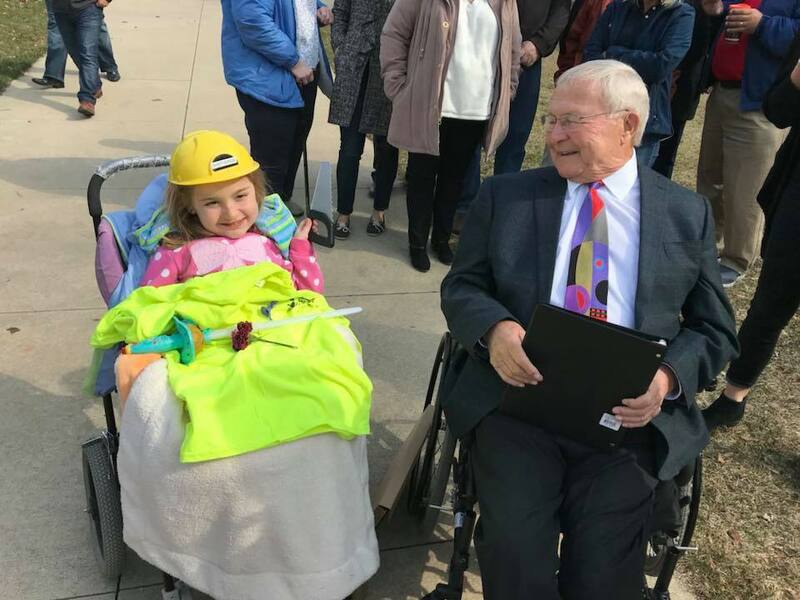 After visiting several playgrounds that segregated children with disabilities, it became the dream of Scarlet’s Smile to build a playground that all children, regardless of ability, could recreate equally and enjoy together for years to come. Scarlet’s Park has been deeded property by Commerce Township in Dodge Park #5 in the shadows of the new Commerce Township Library. It will include a 18,000-square-foot barrier-free playground with a specialized rubberized surface to accommodate wheelchairs. The equipment will include double-wide ramps for easy passage of wheelchairs, shaded play decks and tunnels, zip lines, swings, sensory play equipment, teeter-totters, merry-go-rounds, climbing structures, special slides that don’t create static electricity, a learning wall with brail letters, an imagination table, and, per Scarlet’s request, a rocket ship and more! Phase II of this project will include a splash pad with changing rooms. 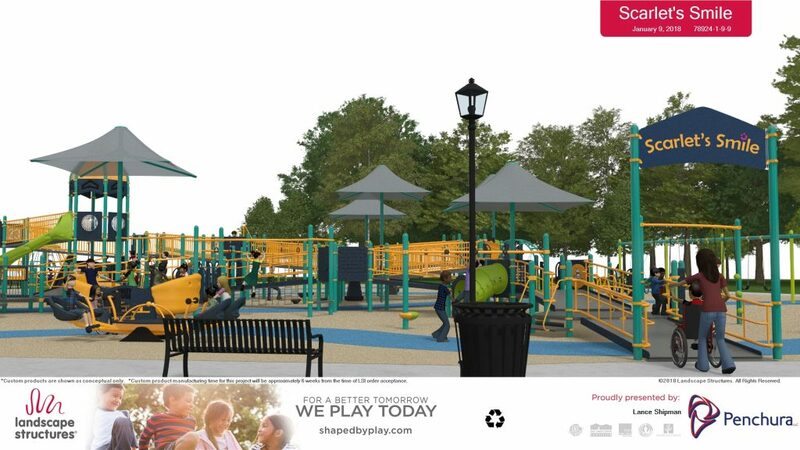 The playground will be surrounded with brick pavers and paved trails to accommodate wheelchairs so that families can be active in the park and hike through the beautiful wooded setting. Scarlet’s Park will include a picnic shelter for families to picnic together and enjoy a fun-filled day at the playground and library. In addition, families will enjoy beautiful raised butterfly gardens surrounded by park benches. This will be a destination for families, school field trips, and summer campers. Clearing of the land for Phase I will begin in early 2018. 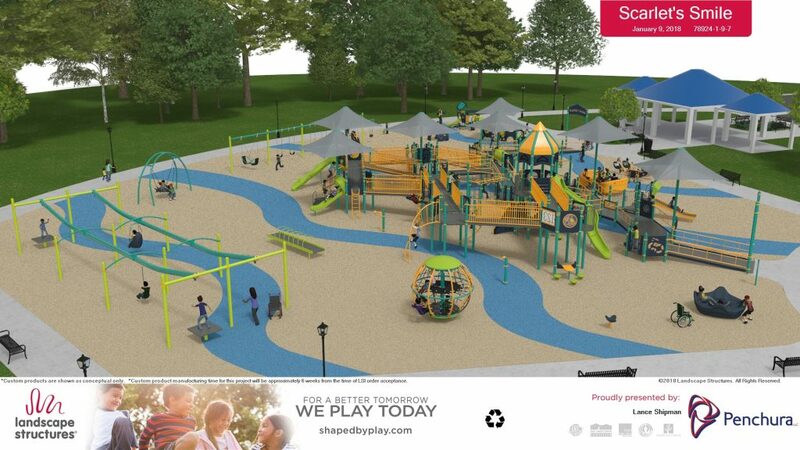 Playgrounds of this magnitude are very expensive and we need your help. Donations of any size are needed to make this dream become a reality. Please consider becoming a friend of Scarlet’s Playground. © Copyright 2019 Scarlet's Smile. Scarlet’s Smile. All rights reserved.